Helps the accused deal with the stress and anxiety that he or she is feeling by providing answers and a sound defense. Provides a buffer from the police. The police are not supposed to question someone accused of shoplifting if the accused asserts their right to counsel. Defense counsel will contact the police to try and learn additional information, when possible to try and minimize the charge(s), and to allow the Defendant to surrender himself/herself to the Court, rather than being arrested. Argues for a fair and reasonable bond. A person charged with shoplifting will ultimately need to be arraigned on the charge. Part of the arraignment process is for a Judge or magistrate to set a bond. The Court’s determination is based upon whether or not the accused is a flight risk, and whether or not there is a danger to the community. The lawyer will have the opportunity to address the bond amount and conditions with the Court. Obtains all the relevant information to properly defend the case. This is referred to as discovery. Once someone accused is charged with a crime, his or her lawyer is entitled to obtain discovery. Be a fearless advocate at trial. 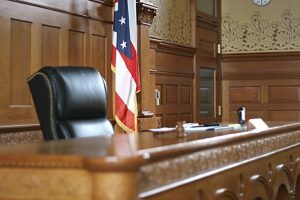 If a conviction occurs, a great record by defense counsel is needed to create the best chance of prevailing at the appellate court level. How can a shoplifting conviction impact the future? 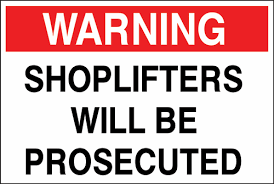 Persons with shoplifting convictions sometimes have trouble finding employment. The potential employer often has a concern that the job candidate might steal from the employer or a customer. Also, a person with a shoplifting conviction may have trouble working in a licensed profession such as being a lawyer, doctor, nurse, financial broker, etc. due to ethical or legal prohibitions. A shoplifting conviction can impact a person’s ability to obtain financial or educational loans. For persons that are not United States citizens, shoplifting may cause immigration problems. For United States citizens that want to travel to a foreign country, some foreign countries may deny entry or a visa based upon a criminal record. 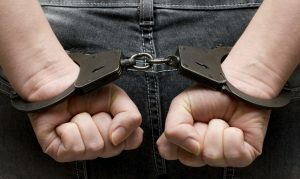 This is on top of the other legal consequences for any criminal conviction – potential jail/prison, probation with sometimes difficult probationary conditions, and financial penalties. A shoplifting conviction may also be a great source of embarrassment, humiliation, and stress. If you are accused – do the right thing and lawyer up immediately. What Lawyer Should I Call? 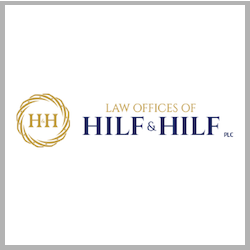 In Michigan, the answer to this question is attorney Daniel Hilf of Hilf & Hilf, PLC. He has the experience, expertise, worth ethic, and ability to handle a shoplifting case to your best advantage.